Sometimes you hear it near the end of the school year, or maybe even you have made the complaint now. Why do seniors get to skip finals? Why do they get these big senior field trips? Why do they deserve this treatment? 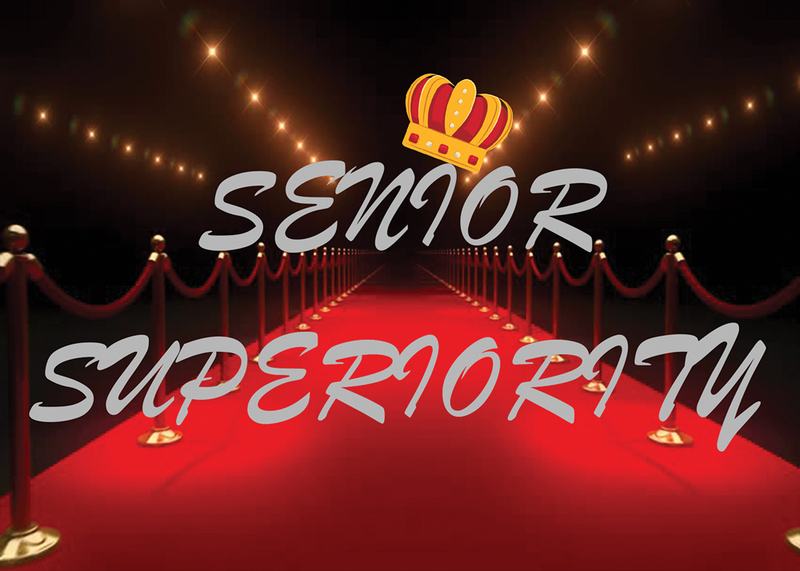 Juniors, we get where you are coming from when you ask why we seniors get all this “supreme” treatment. I was even among those who questioned it when I was a junior last year. But, hear me out, there’s good and fair reason for it. Being a senior means you have been in LHS putting in your hard work for four years to finally graduate and move on in life. It’s only fair that seniors get these passes on certain things, such as not having to take finals, getting a class trip and getting a pretty much guaranteed parking spot. Now finals are a big thing I’ve heard come up many times. Typically it has been comments such as, “Why do we have to take finals?” or “How is that fair?” Well, why would we graduate just to come back and take finals? Seniors have put in four years of hard work and dedication, so it’s a pretty even trade off. It’s easy to see why those who disagree would want this too; you want to be able to not have to cram formulas into your head for hours and skip the treacherous finals week in blazing heat. Consider this though, you’re not alone. Since sophomores and freshmen have to take finals alongside you, the majority of the school is here in this sweaty school with you. Other classes have a problem with seniors getting a big field trip is understandable because they want to have fun too. Why do we get to have all this fun and they don’t? Yet when you think about it, you’re about to go off into the real world on your own whether it be college, the workforce or the military. It’s only fair you get to celebrate with a fun-filled day along with your classmates one last time before you possibly don’t see them that much or at all anymore, and your life is turned towards the real world. Isn’t it fair to have a relaxing, fun day for departing seniors so they don’t have to be super stressed? Parking passes are a huge thing that juniors find unfair. Being a senior means you get an automatic 10 points towards your parking pass slip. That’s a whole 10 points without having any other activities such as sports or clubs. Juniors find this unfair because they have to put in more work to get a parking pass whereas seniors don’t need to do as much. Seniors are pretty much guaranteed a spot somewhere whether it be plateau or main lot. Juniors could be stuck with having to walk from the recs every morning in 20 degree weather. But, they still have a whole year left and by their senior year they’ll be the ones getting guaranteed parking passes. Why not just leave the seniors to having their guaranteed parking passes rather than claiming it isn’t fair since they were all in the same position when they were juniors last year too. This brings up the question “What do juniors and possibly underclassmen deserve?”. Well, they deserve to wait, of course! They may also have college stress, so maybe give some leniency on that. Essentially no, juniors don’t quite deserve senior treatment since they’re less than a year from being seniors themselves. This means they’re also less than a year from gaining all of the senior perks. Otherwise It’s just like buying a screaming, crying child a toy to keep them quiet just because they want it. It’s gonna be such a good feeling when they make it to senior year and they’re no longer the underdogs; patience will make it all worth the wait in the end. What an interesting perspective of perceived “rights” versus earned privileges.